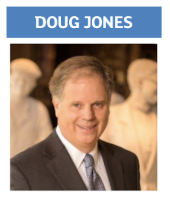 At the start of this race few gave Democrat candidate Doug Jones a chance in the red state of Alabama. Indeed initially Impact Social’s initial analysis showed team Jones, try as they might, struggle to get outside his own echo chamber. At the same time his Republican opponent, Roy Moore, seemed to employ a strategy of doing and saying as little as possible. For the first week or so this seemed to be working. Moore said close to zero and neither did his campaign fatigued supporters. Meanwhile Jones and his people spoke only to themselves. Moore would silently coast to victory it seemed. Unpleasant allegations surfaced accusing Moore of courting under age girls, which he vehemently denied. This accusation was enough to fire up the Republican base into a frenzy. Our analysis showed Moore supporters accuse the left of a conspiracy led by the Washington Post. They were extremely angry feeling that the election was being stolen from them by DC. In response, team Jones seemed incapable of matching the sheer scale and ferocity of the right. For the next four weeks Jones spoke to Dems, and the Dems spoke to one another. The conversations went around and around. Each piece of insight from Impact Social appeared to mirror the last. Yet the accusations were so unpleasant and by now known to the entire world, with 10 days to go Impact Social noticed a change in the conversation. Suddenly people from both sides began to speak of the need for decency. Over the last seven days the number of new people entering the conversation went up by over 100%. All of whom were outside the echo chamber. They spoke of ‘decency before party’ and urged one another ‘do the right thing’. Jones owned the conversation. Of most importance was the sentiment which moved in Jones’ favour for the very first time. This dramatic shift in opinion caught pollsters by surprise. 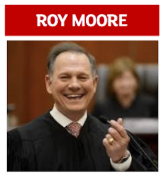 They were clearly confused with several even refusing to predict the outcome while the rest played it safe and went for Moore. At Impact Social we called it for Jones.